Pam Booth Pam serves as Lead Parent Educator with the Learning Program Boston. She leads parent workshops on topics in Down syndrome education, bringing evidence-based research into practice to homes and schools. She is a frequent presenter on best practices for teaching literacy and numeracy to children with Down syndrome and has presented annually at Down syndrome regional conferences, reaching both parents and educators. She also serves on the Board of the 3-21 Foundation, guiding the growth and delivery of its education programs. Pam began her career in the disability community over a decade ago, leveraging her professional skills to benefit families who have children with disabilities. 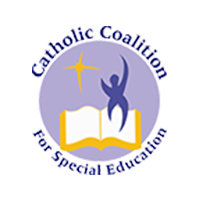 In the field of education she has represented families as an Advocate, re-established her local Special Education Parent Advisory Committee, and piloted reading and education programs for students with disabilities. Her work in the policy realm has included positions with Massachusetts Families Organizing for Change (MFOFC), and Southeastern MA21 Council, a disability policy collaborative.